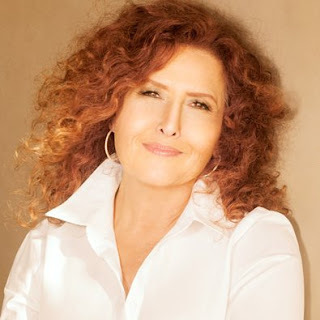 Melissa Manchester will release her 21st studio album, The Fellas, on September 8 via her own Long Run Entertainment. Funded by a recent Indiegogo campaign, the album is the culmination of a multi-decade goal for the singer. "In 1989, I released my Tribute album to honor the great women singers who meant so much to me as a young artist – singers like Ella Fitzgerald, Rosie Clooney, Judy Garland, Sarah Vaughan, Eydie Gormé ... that rarified bunch. Ever since, I've wanted to complete the idea with another album paying homage to the great male singers who, likewise, set the platinum standard for the rest of us – Frank Sinatra, Nat King Cole, Mel Tormé, Johnny Mathis, Dean Martin ... the greats." For The Fellas, Manchester is once again working at Citrus College in Glendora, CA where she recorded her last album, You Gotta Love the Life, in their state-of-the art production facilities. This time, she is co-producing with Robert Slack, Dean of the Visual and Performing Arts school and working with The Citrus College Blue Note Orchestra. Manchester said "It seems fitting that I help pass the torch to these dedicated young musicians as I'm paying tribute to the artists who inspired me. Some would think it's risky to entrust a recording project to a group of students. What I found was that, under the expert tutelage of Bob Slack and Alan Waddington (and the rest of the Citrus faculty), these young musicians rose to, and exceeded, our expectations, every time, every song. This is a community college, open to all who want to learn, and these students truly appreciate the opportunity to be part of a grand musical adventure." Also joining Melissa is her long-time friend Barry Manilow with the pair dueting on For Me and My Gal.